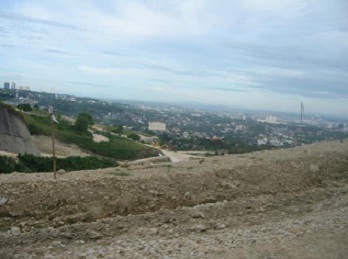 MONTERRAZAS DE CEBU - Cebu Lot Only for sale in the mountains of Guadalupe, the largest Mountain Property in the heart of Cebu. The crown of the Queen City. Rising over a thousand feet above sea level. 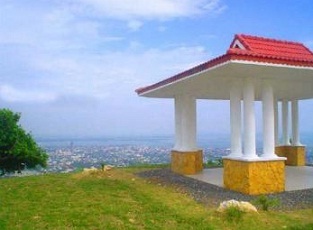 An eminence commanding Cebu, Mactan and Bohol. Straddling eight hills looking out to the east. 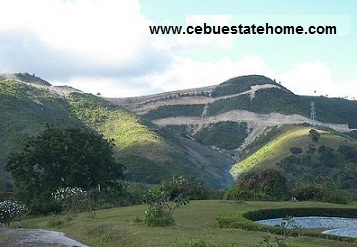 Hidden for generations in the mountains of Guadalupe and Banawa Cebu City. 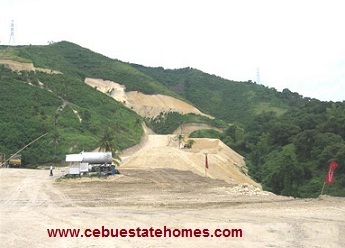 The last and the largest, of any contiguous mountain property available in the heart of Cebu City. Unparalleled. Exclusive. And absolutely magnificent. 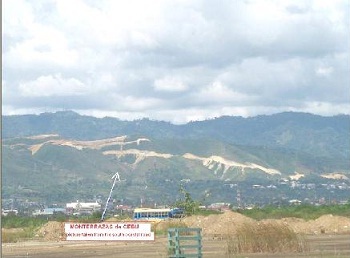 Monterrazas de Cebu is like no other. THE PEAK OF LUXURY. 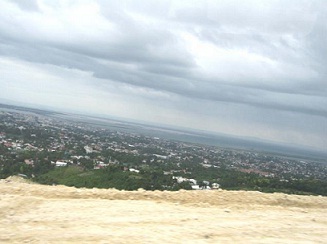 Within Monterrazas is a treasure called the Peaks. It further defines what a truly luxurious lifestyle should be. 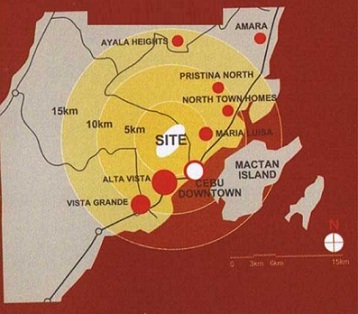 It will arguably be the most enviable address in all of Cebu. 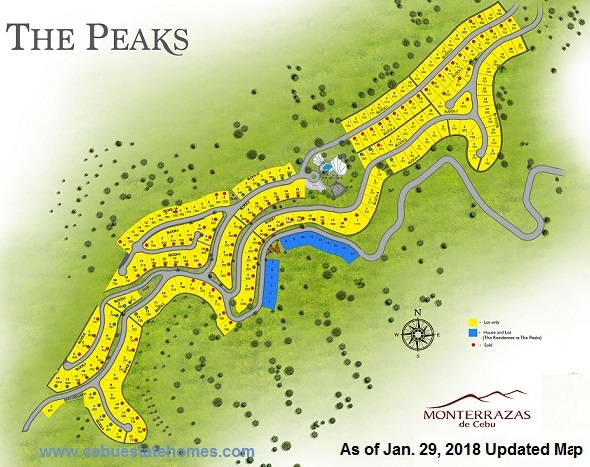 The total area of the Peaks is approximately 60 hectares, with the number of lots controlled to 200. BEGIN. 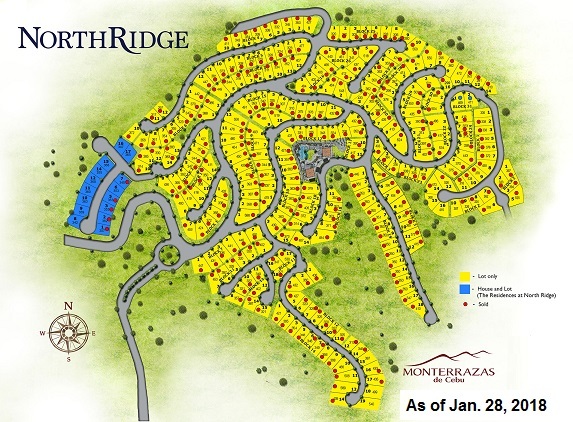 A sustainable community with residential lots and dwelling units. And an offer, commercial lots and spaces for schools, hospitals and the like. Waste no time to stake your claim. Build Your Dream. 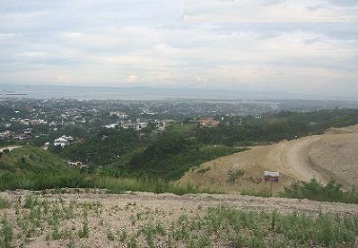 - Landowner/Developer: genvi development Corp.
MONTERRAZAS de Cebu- Spanish term Terraza De Montana which means mountain terrace, describes the topographpy of property. 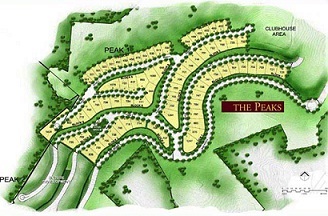 THE PEAKS--Topmost, the peak of Luxury. Lot Area: 528 sq. m.
* Straight 24 months (No DP) - P 300,753.33/mo. 90% Balance - P 6.586,272.00- Payble 60 months at P 109.771.20/mo. 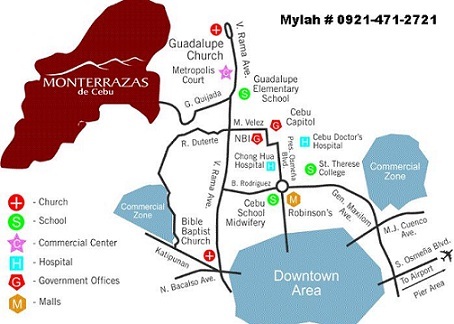 5 year Amortization at 13% Interest - P 141,532.49/mo. 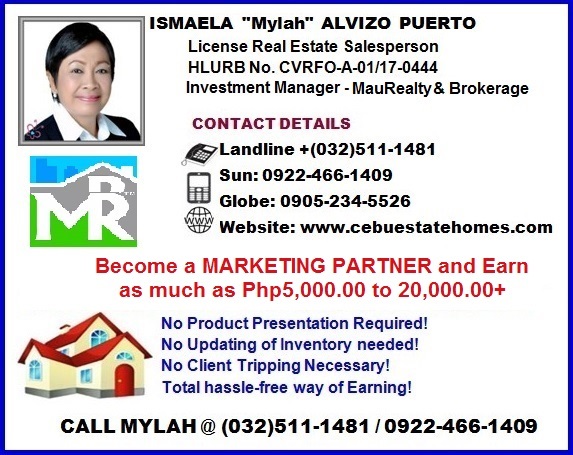 7 year Amortization at 15% Interest - P 120,032.92/mo. 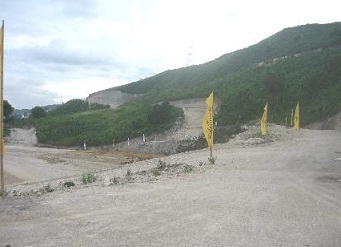 Lot Area: 338 sq. 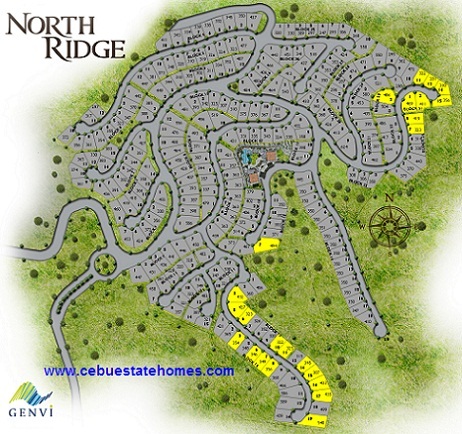 m.
5% Discount straight in 12 months (No DP) - P 471,986.10/mo. OR: Straight 24 months (No DP) at P 248,523.30/mo. 75% Balance - P 4,510,920.96 - Payable 36 months at P 125,303.36/mo. 5 Year to pay at 13% interest - P 116,322.29/mo. 7 Year to pay at 15% interest - P 98,652.29/mo. 9 Year to pay at 16% Interest - P 89,595.69/mo. Want to Earn Extra Income? For Sale By Owner Properties. manning and from your Referrals. Disclaimer: All information contained in this site are for representation purposes only. We reserve the right to correct typographical errors. All prices, discounts, promotions, etc. are subject to change without prior notice. We usually update once a month but prices, availability and other details may change anytime before the next update. So, the details presented may not be necessarily final but those interested are requested to contact us for the latest update. Nothing contained herein shall constitute a contract.